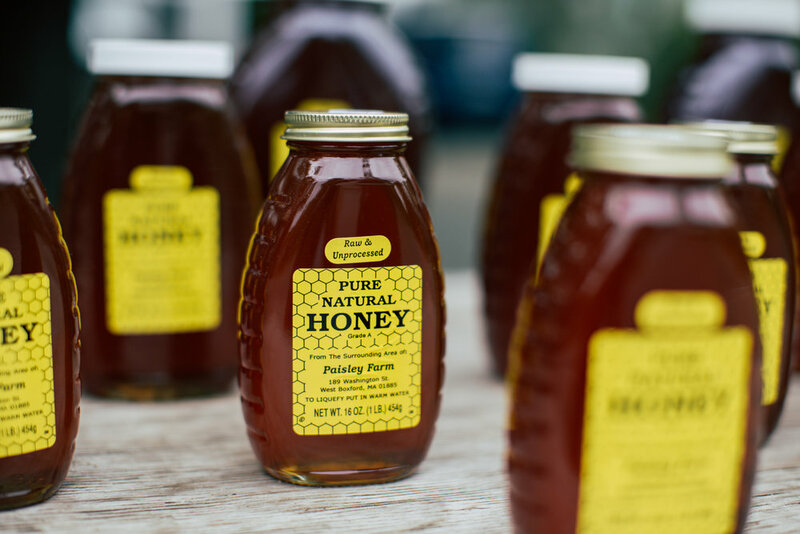 Available in three different sizes, Paisley's sells honey sourced from our own hives and other local bee hives year round. Perfect for gifts or everyday cooking, our honey is as good as it gets. Give us a call or visit today to pick up your own jar.